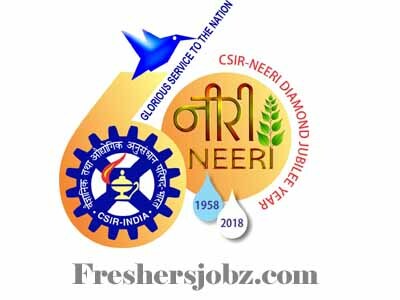 NEERI Notification 2018.National Environmental Engineering Research Institute, Nagpur has released a notification for the recruitment of Consultant vacancies.Check the eligiblity and notification prior to apply for the positions. Qualification: B.Tech. (Chemical Engg.) and M.Tech(Environmental Engg.) with minimum 30 years experience in the relevant specified area. How to apply: Scanned copy of signed applications should be mailed latest by 26.10.2018 and hard copy of the application alongwith relevant enclosure may be sent to the below mentioned address latest by 26.10.2018. Address: Scientist & Head WT&MD, CSIR-NEERI, Nehru Marg, Nagpur.